Musings of a Citi Sketcha: Urban Sketchers Singapore featured on the Singapore American magazine. 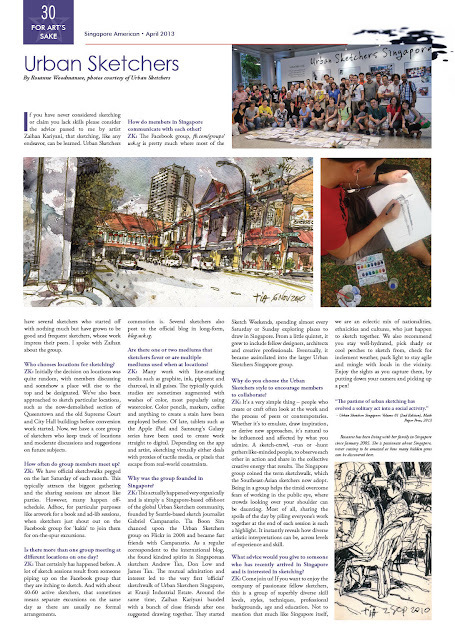 Urban Sketchers Singapore featured on the Singapore American magazine. The expatriate publication, Singapore American has published their April issue and USKSG has a full-page feature in their arts section.